Will You Choose to Have a Second Child? I will take care of him after he was borne! 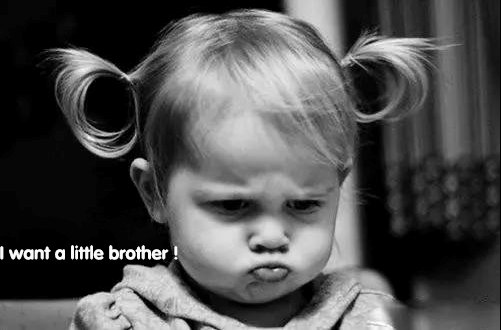 However, The relationship between sister and brother is like this in daily life. 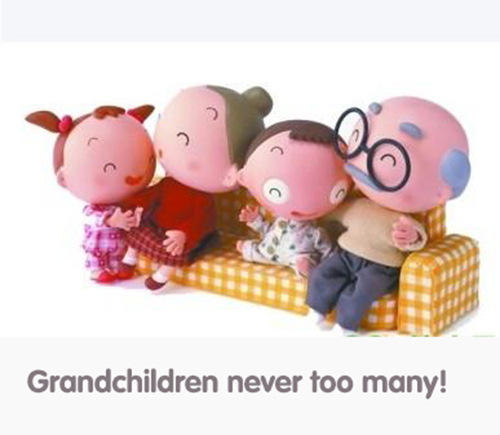 But for the grandparents, they always hope to have another grandchildren. Bearing a child is very hard and it is not easy to bring them up. 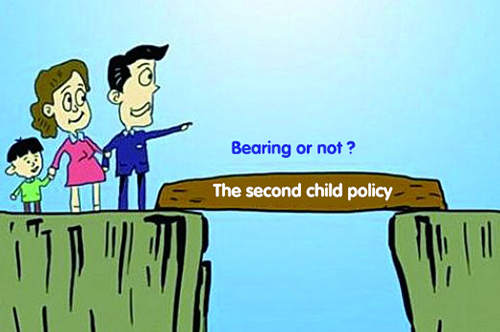 So here comes the problem, whether to get a second child or not? It would be great to have a second child, if parents have time to company them. A young mother drove car and send her daughter to the elite primary school for leaning (in residence). The mother told the child:”In order to make more money and give you a better study chance in the future, mom nearly has no time to company you. Do you hate me”? The daughter said :” No, when I grow up, I will also make lots of money and send you to the best nursing home ”. After heard this, the mother stopped the car and burst out crying. This is a true story. 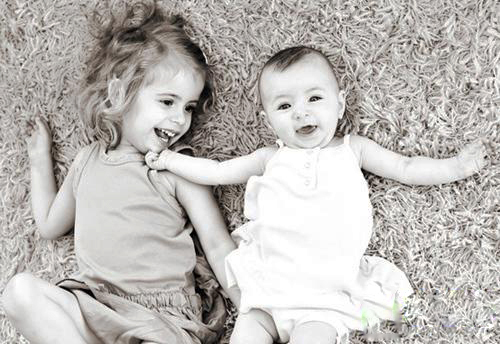 The mother thought it is the greatest love for children to give them a best material life. But when she heard her answer, she could not help falling tears. We can not say that the child's answer is lack of filial piety,because from the value that the mother showed to the child in daily life, sending her to the best nursing home in future is the expression of love from the child to the mother. Children have become accustomed to spend the day without their mother, and get used to the value that money can buy everything. Suppose if your children told you that they will send you to a nursing home in future, how’s your feeling? Certainly you will be very sad to heard that. Because we all well aware that money can’t buy everything! In fact, when you send your children to elite schools, you lose at least a half, because you pass the responsibility which originally belongs to you to school. 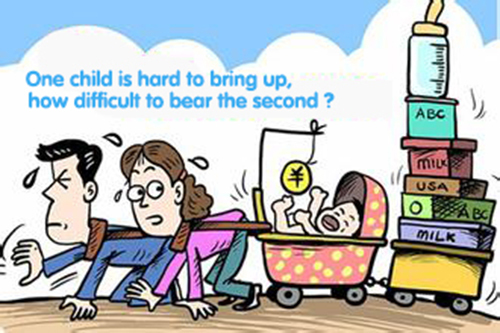 However , since the first child has been suffering such hardship, we should not let the second child to suffer the same! 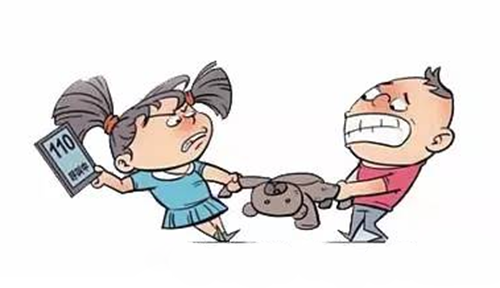 Many parents said, “Now the social competition is so fierce, we have to spend most of our time to work and attend social parties, so we have no time to accompany children. Besides, I'm doing all this is for our children ” . We have to recognize this reality. For most people, to pursue rights, it’s very good to become a Municipal Committee Secretary; to pursue money, it’s very enough to earn 10 million in our whole life. It is all for creating a development capital to our children. But in another side, even you become a Municipal Committee Secretary, what position can you lift your child to? If your child doesn’t like it, how can you do? And even you have 10 million, there may not be enough for him to spent in a day, or maybe he wouldn't spend any, what can you do with such children? A survey shows that 30% of parents do the most things when they back home are watching TV and surf the Internet. For them, watching TV, surf the Internet, play games, and do other entertainment activities at home can help them more to release stress as well as adjust feelings. In addition, there are few parents would take work home. Obviously, parents do have time to accompany their children if they want. An education expert has said, “If a man can quit drinking twice a week, a woman can take the make-up time out every day to accompany their children, your child may be a genius”. In new era, the educating ways naturally will be changed. Parents now are thinking to make more money, buy a house, buy a car and so on, and then imperceptibly stay away from their kids... It doesn't really worthy. 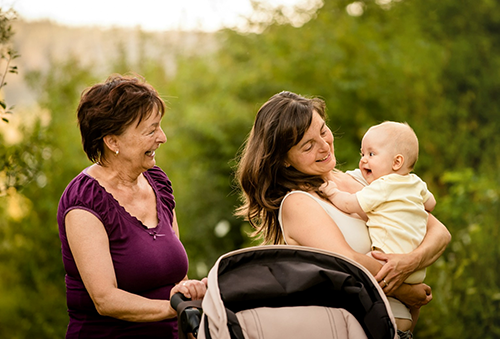 When you have enough time to accompany your child, having another baby is a bargain thing! Don't look for any excuses to say no time, as long as parents put children in their heart, there is always have time. Accompany with children is a incumbent duty which can’t be shirked for any reason no matter how busy you are. If you are unwilling to spend time and energy to accompany your children, one day you will find that your kids will no longer rely on you which will regret you in the future.